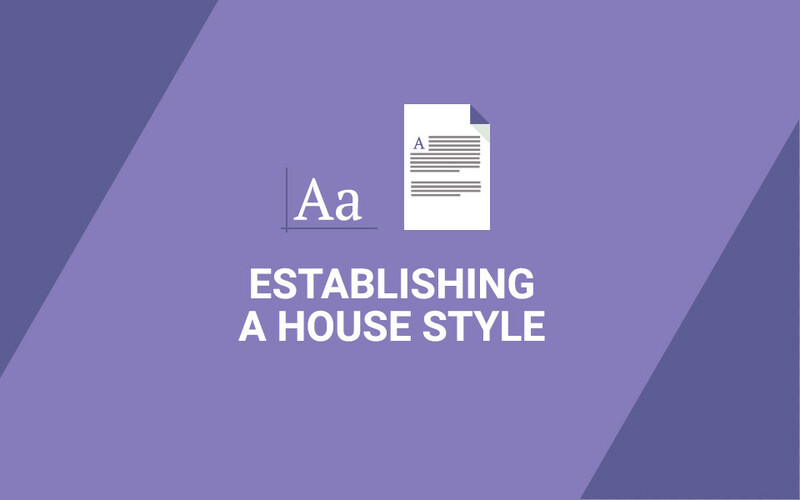 You’ve established what services your business is providing, designed the website and are ready to launch everything – but have you remembered to outline what your House Style is going to be? A House Style is the set of guidelines which indicate what your business’ tone of voice is going to be, if your business is your house, this is how you’re going to decorate it with words, and it matters more than you might think! Across all of your platforms you need consistency, clear messaging and branding – it all has to be in sync. So it’s up to you to decide what your House Style is going to be, and you can decide this in a number of ways, but here’s our five favourite things you can do to make the process easier. You’re not re-inventing the wheel, so the likelihood is that there are other companies that do what you do. Whether you’re a blogger and freelance writer, or a chemical engineering company, a fashion house or anything else… you’re part of an industry, so be guided by that! If your company deals with party supplies then you’re probably going to want a light hearted and fun house style, equally if you’re a company which specialises in end of life care, you’re not going to be making jokes. Have a look at what is usual for your industry, and let this be your baseline. From there, consider what your niche is and how you can make it more accessible, yes, people who are already versed in your industry will understand jargon and acronyms, but you run the risk of alienating less knowledgeable or newer customers. Your House Style should be welcoming and entice new leads and clients to engage with you, often, providing clear and educational information in this kind of tone can help you attract more business than old-school advertising. If you’re taking the leap and setting up your own company because you have customers from your last company following you and not just rebranding or redefining, then it’s worth asking them what made them follow you. If it’s your down to earth and honest advice, stay away from overly long and convoluted sentences. In terms of readability, both your customers and Google find shorter sentences easier to understand; we could do a whole series of posts about improving your copy for SEO, but for now, let’s keep it simple. So do exactly that, keep it simple. Even though you’re being guided by your industry, you should still make sure that your House Style is tailored to your brand. You are different from your competitors, so be a little different, your style is also about your brand and no one knows it better than you. So once you’ve established your House Style it’s time to make sure that everyone you work with sticks to it. For companies that don’t have the time to do their own copy, contractors and freelancers are a great option, but you need to ensure that they’re still meeting your House Style needs without necessarily ever setting foot in the office. So what do you do in this situation? Have a comprehensive Style Guide that everyone can access. Buzzfeed for example have an extensive House Style Guide, specifying things like how words should be combined and when, and even what acronyms can be used. By providing such and in depth guide and insisting that all writing meets this criteria, Buzzfeed are able to make sure that every freelancer or guest writer stays in line with their in house practices. When you’ve crafted your base House Style the journey is only half finished! As with all things in business development, it is important to constantly be learning and improving, so when you’re publishing content and sending emails, take a look at what your Click Through Rate is like and go from there. You can run A/B tests to find out if changing the verbs you use in your subject line makes a difference, or find out if the length of email copy is working for or against you. Remember to only change or test 1 thing at a time, otherwise your results won’t be able to clearly indicate which little change is the one making the real difference. Your House Style isn’t just limited to the words you use, you also need to be mindful of how you present them. At My Social Agency we favour shorter paragraphs which make the information we’re conveying easier to digest (you might have already noticed this!) Again, this is going to come down to personal preference, but generally, less is more. Longer, denser content takes more time, so readers are less inclined to want to wade through the text to get to the point. Which is why guides should have clear lead points, proposals should be neatly broken up and have a contents page provided, and emails should stick to concise paragraphs that each outline a single, clear point. Remember that we’re in a digital world and everything is permanent, all it takes is one screenshot and all the editing in the world won’t matter. So make sure that you’re willing for your content to be shared across the world – if you’re not sure a statement is okay to make, just don’t. It doesn’t matter if you’re just starting out, or if you’re a company with a long established history, going viral for an ill considered comment can be disasterous. Our House Style at My Social Agency is the same way with its development, we have set parameters for tone and syntax, and that’s why all of our content is so consistent, no matter which member of the team produces the work the result is always similar. This allows us to make sure that our results are consistent and there are no sudden surprises, that isn’t to say that our content and style never varies at all, we just change gradually and make sure that we’re always balanced. We’re proud of the work we put out into the world, just make sure you are too.